Weak at strength but strong at heart. Is a virtual encyclopedia on the gangs running Suzuran, as shown during the First Year War when he identified the seniors. A member of the Umehoshi family, resident of room 3, and a sophomore at Suzuran. Seems to have a talent with darts and bowling. 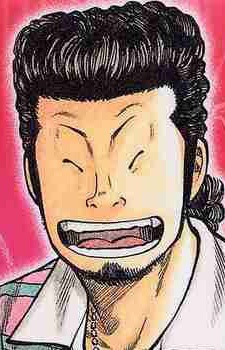 He set up a Suzuran Darting Club with Ginji.